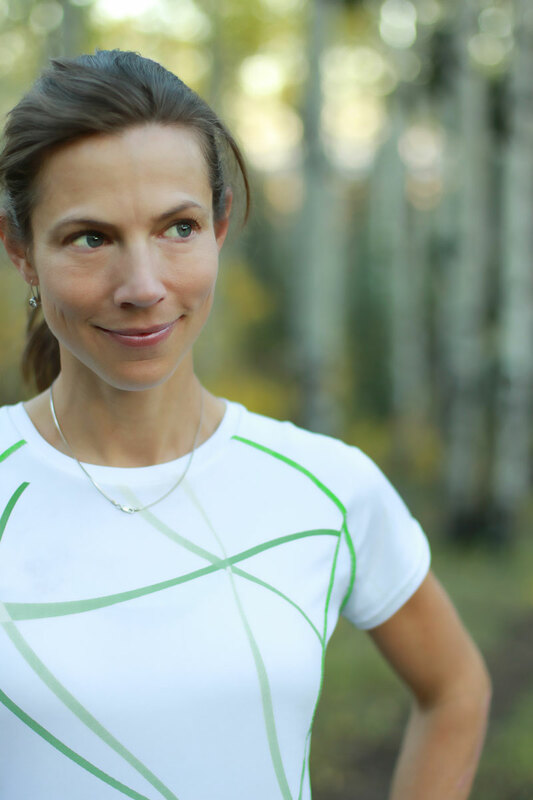 Trail runner and Honey Stinger Hive member Elinor Fish is the founder of Run Wild Retreats & Wellness, a Colorado-based company that helps individuals improve their health and cultivate increased energy and vitality through mindful running. 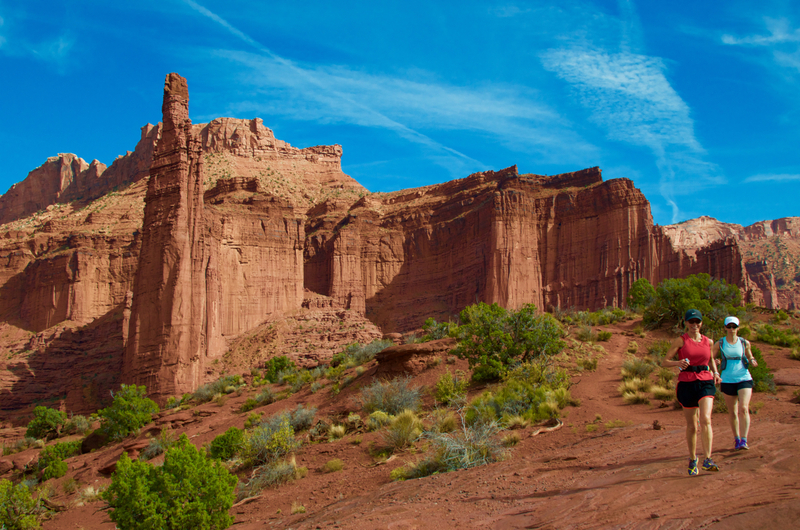 Elinor, of Carbondale, Colorado, took the time to answer some of our questions about mindful running as she gears up for her busy 2016 retreat season starting later this month that includes stops in Spain, the Canadian Rockies, Iceland and Moab, Utah. Like a lot of kids, I got into running through my school’s track and cross country programs. I enjoyed being part of a team and having a coach to show me the basics to get started in running. However, it wasn’t until after college that I discovered my true passion, running mountain singletrack trails in the Canadian Rockies. I loved being on mountains trails so much that I made it my career. You have been running for over 25 years and continue to find joy in the sport. In your opinion, why are so many runners injured or burned out? I believe it’s because we, as a society, are so accustomed to pushing ourselves harder to get more done, to do it faster and better, that we largely fail to realize how this busyness affects our physical and mental well-being. What do runners learn at your running wellness retreats? Our retreats last anywhere from four to seven days. We start by addressing how stress affects the body and the symptoms that accompany it, many of which tend to manifest themselves in the quality of one’s running. We continue by looking at ways to optimize your recovery rate. This involves healthy habits such as getting more sleep, supporting recovery with good nutrition and managing stress. Along with stress management methods, we practice natural running techniques that improve your efficiency and lower the impact of running. This not only helps you run faster and farther, but also reduces the chance of injury. Can you provide some tips for getting started in mindful running? For sure—here are two techniques we practice during the retreats to get started in mindful running. A great place to start with mindful exercise is to focus on your form or gait. During exercise, similar to focusing on a lit candle to slow the mind and its thoughts during a seated meditation, mindfully moving your body has a focused, calming effect on the mind. Being relaxed makes your movements more fluid, which increases efficiency, allowing you to run longer with less fatigue. Babies are masters at belly breathing. As we age, a stressful and sedentary lifestyle leads us to become habitually shallow breathers. To breathe like a baby while you run, inhale slowly as you extend the belly outward. This helps draw breath into the lower lungs and fully extend the diaphragm. By fully inflating the lungs, you’re taking in the maximum possible amount of oxygen with each breath. Exhale by drawing in the belly, as this causes the diaphragm to move upward. Since it may feel backwards to breathe this way at first, practice belly breathing while walking. Begin to introduce belly breathing into your workouts once it begins to feel more natural. These deeper inhalations help relax the body, pace yourself and move more efficiently. 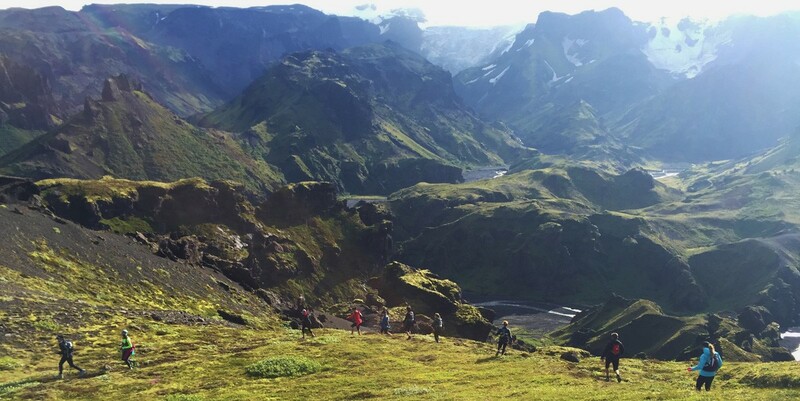 Elinor Fish is the founder of Run Wild Retreats & Wellness and leader of this year’s Iceland Trail Running + Wellness Retreat for women (August 2 – 8, 2016), during which participants learn about mindful running and natural running form, run trails and beaches, soak in geothermal hot springs, dine on fresh Icelandic cuisine and meet local runners. This entry was posted in Hive News and tagged belly breathing, Elinor Fish, Hive, Hive athlete, mindful running, Run Wild Retreats + Wellness, running, trail runner. Bookmark the permalink.